If you’re looking for your next vehicle to drive because you need to have something larger, a small commuter car, or a vehicle that offers you the capability you’ve been looking for, the team at Massey Yardley Chrysler Dodge Jeep Ram Fiat in Plantation, FL is where you’re going to find what you’re looking for. Visit this Jeep dealer today and let them assist you in finding the vehicle that will be the one you want to enjoy when you head out on the roads in Hollywood, FL. 2016 Dodge Grand Caravan SXT – If you want or need a minivan to tote your family around in, this is a name you’ve known and admired for many years. Let the team at this Jeep dealer near Hollywood, FL help you get behind the wheel of this impressive minivan and have the drive you’re looking for on the road you want to drive on every single day. 2014 Chrysler 300 – Here is a large sedan that will make certain you have the driving experience you want when you’re looking for a vehicle that has the impressive features that can be right for you. Take this model out for a test drive from this Jeep dealer and let it become the one that offers you the drive you’ll want to enjoy when you ride around Hollywood, FL. 2017 Jeep Patriot Latitude – If you want a used Jeep SUV to drive that carries in the classic look and the features you’ll admire, this could be the one you want. Come in and see what this impressive model has to offer you so that you can have the ride you want in a used Jeep model that will be right for you to have the drive you want on the roads in Hollywood, FL. 2017 Dodge Journey SXT – When you’re looking for a used Dodge SUV that offers you the ride you’re looking for and the size to handle your family, this is the one you want. Check out this beauty at this Jeep dealership and let them show you the features and the qualities that will make this the right choice for you to drive on the road around Hollywood, FL. 2016 Jeep Cherokee Limited – This compact SUV is one that will make the drive right for you and your family and allow you to have the features you want. Let this used Jeep become the one that takes you wherever you need to go to Hollywood, FL so that you can enjoy the drive and have the vehicle you know handles what you’re looking for. 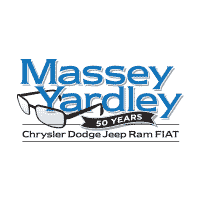 Come in and see the team at Massey Yardley Chrysler Dodge Jeep Ram Fiat in Plantation, FL and find the right model for you to drive today. 0 comment(s) so far on What do You Want to Drive?